“Loss—not just loss of life, but loss of the common stuff that holds humanity together—scarred the survivors and shaded the recollections they left to posterity. Loss is what gives the wind in the Mohawk Valley its special remorsefulness, the fog and lake-effect snow its isolating loneliness. Something happened here that was more intense, more shattering, than the ordinarily sorrowful consequence of war.” – (Back Cover)- Richard Berleth, Professor of Communication Arts- St. Francis College, N.Y.
As a writer of early American historical fiction, I enjoy the process of researching the settings and events that will give my stories authenticity. It’s an adventure to discover little-known facts about people from the past, and enrich my writing in the process. But I don’t like it when I have to collect bits and pieces of information from a lot of obscure sites, and wonder if they are accurate. In one particular instance I needed information about New York State; from its earliest eighteenth century settlements through the American Revolution and its aftermath. So I made a call to the Herkimer County Historical Society and they referred me to a great list of non-fiction books they had available. That’s where I found “Bloody Mohawk”. Despite its colorful name, this is a comprehensive book on the history of upstate New York, its settlements, and battles from the French and Indian War through the last efforts of the British and Native American peoples to reclaim their lands in raids after the American Revolution. I approached the book with the preconceived notion that there would be a lot of old, indistinct maps to decipher, dates and details concerning battle campaigns, and I’d end up bored to tears. I’d rue even the modest sum I’d paid for it, just to locate a few pages of the information I needed. By the second chapter though, I’d found out it was so much more. Because it was mostly about people. About very real flesh and blood people with strengths and weaknesses, who had actually lived through one of the most difficult periods in this country’s history to play their parts in its beginnings. And I couldn’t put it down. 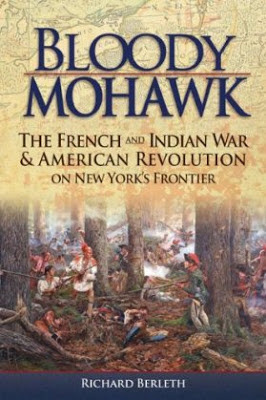 “Bloody Mohawk” is steeped in little-known and interesting biographical material that brought me deeper into the lives of people who’d gone before me, and who’d ensured my liberties in this country. Like General Nicholas Herkimer who’d met with one-time friend, Mohawk Chief Joseph Brant in a field to have secret talks. Both men tried against formidable odds to turn the tide of oncoming war and save both their peoples. But on a hot day in August 1777, Herkimer, a brilliant tactician and veteran of the French and Indian War, led a contingent of militia to relieve the besieged Fort Stanwix near Rome, N.Y. The old General sensed that many of the overgrown ravines ahead at Oriskany Creek might provide the perfect cover for a deadly trap, and halted his men to wait for word from his Oneida scouts. When confronted by the young and inexperienced Colonel Ebenezer Cox who didn’t trust their Indian allies and accused the general of cowardice, most of the men sided with Cox and demanded they continue their mission. The phlegmatic Herkimer was heard to say, "You want war? I give you war..." and grudgingly advanced. It cost the lives of the General and eight hundred of his men. Many have heard of early New Yorkers Mohawk Princess Molly Brant, wife of Sir William Johnson, or white captive Mary Jemison. 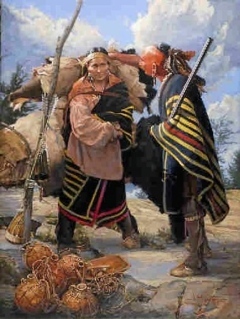 But few remember Queen Esther Montour, Seneca leader and mother whose broken heart over the loss of her son Gencho, caused her to exact a terrible revenge by leading warriors up the Susquehanna from Pennsylvania to wipe out settlements in New York. 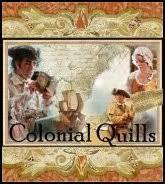 Or Loyalist Sarah Kast McGinnis, widowed mother of eight and daring frontierswoman from German Flatts imprisoned in a patriot fort. Wonderful review, Pat! Thank you for sharing this info! It's on my wish list now. Great review, Pat. Sounds like this book is packed with info. Blessings! Thanks for commenting....I'm snuggled in as we're in the middle of a blizzard. I kid you not--TOTAL white-out! Any hope I had of going shopping is gone! 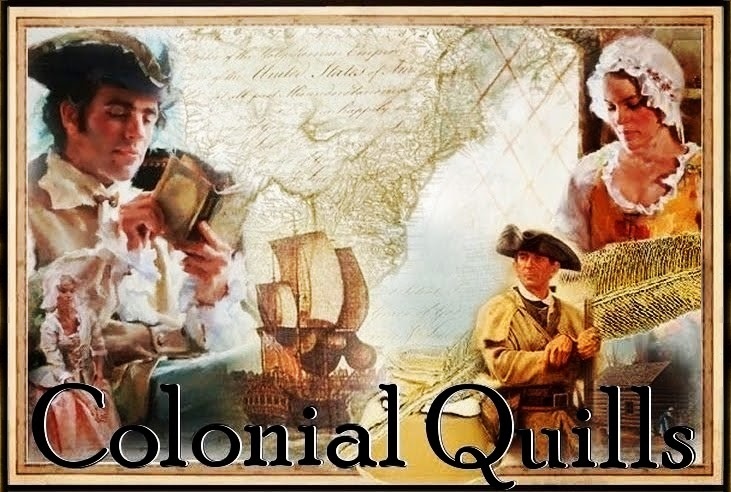 Just a word about this book--it is so richly detailed about the culture of that time--it's great for research no matter what "colony" you're from. :) And the people's stories (many not as well known but as strong) are great for inspiration! I want this book, Pat! I just read your review out loud to Clark! He asked about Herkimer, too. Stay warm! ooh, Pat you have whet my appetite! This sounds like a must read for me, for sure. I am all about great research books. I have a hard time saying no if it's in my time periods. This looks fascinating Pat and if you say so, I agree, but I'm leaving this setting for you and Lori! Sounds like a very interesting read, Pat, thanks for sharing. Great review, Pat! This book sounds like a treasure! I love reading about historical times and peoples. When you mentioned Queen Esther leading her people up the Susquehenna I could vividly imagine it as I used to live in PA and passed by the river frequently. Non-fiction can be so exciting! True tales ring the brightest. I have to second your praise for Bloody Mohawk. It's been indispensable in my New York research and writing. And I think you may have been the one to tell me about it originally, Pat. It's great to find such a wonderful resource that not only answers your questions, but provides all sorts of ideas to write about. Nice work, Pat. Sounds like a great book with some valuable resource info. Pat, I hope you stayed safe and warm in the blizzard! You were the first to tell me about "Bloody Mohawk" awhile. It is on my shelves and I can't wait to peruse the pages! Thanks so much.